When you think of cybersecurity, art and beauty probably aren't the first things that come to mind. But if Trend Micro has its way that could be about to change. The company has commissioned a number of artists to create what it calls The Art of Cybersecurity. This is a series of works based on security data, with the idea of shifting the perception of protecting systems from a burden, to something beautiful. Six different artists have created works based on things including unknown threats, endpoint threats, and phishing attacks. The works will be used in Trend Micro's advertising and interactive versions that allow you to randomize the data they’re based on and rotate them to see different perspectives are on the company's website. Stefanie Posavec who created the endpoint threats artwork says, "I'm interested in an organic representation of threat data, referencing past analogue techniques in a more modern way." Jindrich Karasek, creator of several works including ones based on DevOps API calls and threat expertise says, "I love finding hidden stories in connected data, new points of view, and connecting the dots to turn information into knowledge." 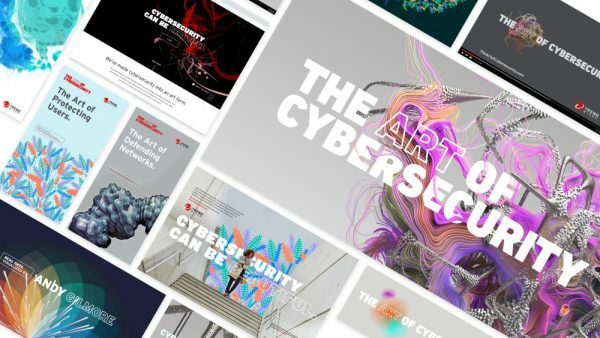 Visit the Trend Micro website and you'll be able to see and interact with the latest works and find out what happens when cybersecurity meets art.